Director René Sascha Johannsen paints a vivid picture of absence in Lukas Graham’s latest video “You’re Not There”. In his third video for Danish pop group Lukas Graham, René Sascha Johannsen explores loss and moving forward. In a series of gorgeous shots and cinematic motion, René shows Lukas riding through town in an old automobile, deep in thought and song. Lukas encounters a girl whose presence he does not seem to notice mixed with subtle hints towards water, dripping in sadness and pooling. Eventually, the car fills with water, and Lukas is covered as cameras flash, intrusive and bright contrasting against the dark water. The car shatters, releasing the pain and releasing Lukas to walk blindly into the forest. 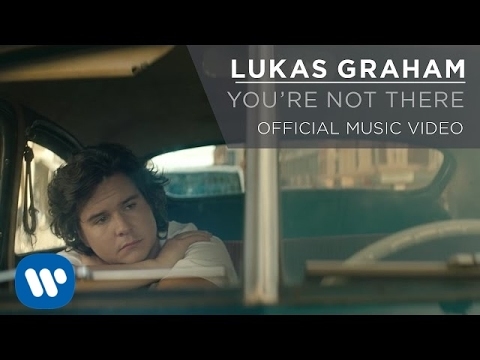 “You’re Not There”comes from Lukas Graham’s self titled debut album that released earlier this year. Known for their soulful melodies and openhearted honesty, Lukas Graham has garnered international praise. Enjoy the video for “You’re Not There” above, and keep up with René Sascha Johannsen’s latest work here!